Fluoride is found naturally in soil, water, and foods. It is also produced synthetically for use in drinking water, toothpaste, mouthwashes and various chemical products. Studies have shown fluoride can reduce the prevalence of tooth decay. However, concerns have arisen regarding fluoride's effect on health, including problems with bones, teeth, and neurological development. Fluoride comes from fluorine, which is a common, natural and abundant element. Studies have shown adding fluoride to the water supply reduces the incidence of tooth decay. Fluoride protects teeth from decay by demineralization and remineralization. Too much fluoride can lead to dental fluorosis or skeletal fluorosis, which can damage bones and joints. Is fluoride good for teeth? Not when swallowed. However, there is credible research showing topical fluorides can provide a benefit to teeth by reducing tooth decay. This benefit must be weighed against the risks. Although topical fluoride products like toothpaste are not meant to be swallowed, studies show that young children swallow a lot of the paste that is put on their toothbrush. For young children, consider using mouthwashes that can be swished and spit out. Also, professional application of a fluoride varnish can help reduce the incidence of tooth decay. As Mark Twain quoted: “Too much of anything is bad…” Such is true with excessive exposure to fluoride as it has been linked to a number of health issues. 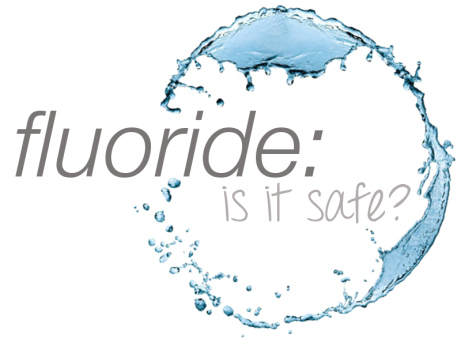 Dr. Andow is well aware of the controversy concerning the risks and benefits of fluoride. He does still offer this service to his patients (both adults and children). But understand, he also abides by anyone’s request to be fluoride-free. If you have any questions about fluoride, please don’t hesitate to contact Dr. Andow. We look forward to hearing from you. The office will be closed Apr 25th for a CE course. We will be back in the office on Mon, Apr 29th at 8am.